You are here: Home / Financial Planning / Estate Planning / Does a will override all insurance nominations? Does a will override all insurance nominations? If you have made will, you know the importance of making your asset distribution clear so no confusion for your family members. But have you made an insurance nomination previously? Do you remember who were the beneficiaries? Do you need to revoke the nomination before the instruction in the will takes effect? Your have made a specific assignment. A “Nomination under Section 49L Insurance Act”, in a layman’s term, is a irrevocable nomination. When I say irrevocable, it means that you have “given” the insurance benefits to your named beneficiaries and “vowed” that you will never take it back. So it is understood that this cannot be voided by a will. However, like all matters in personal finance, things are not always so simple as we wish. This is because there was NO Section 49L Insurance Act before 1 September 2009, when the new Nomination of Beneficiaries Framework was introduced. Section 45 of the Co-operative Societies Act (CSA) for NTUC Income life policyholders. 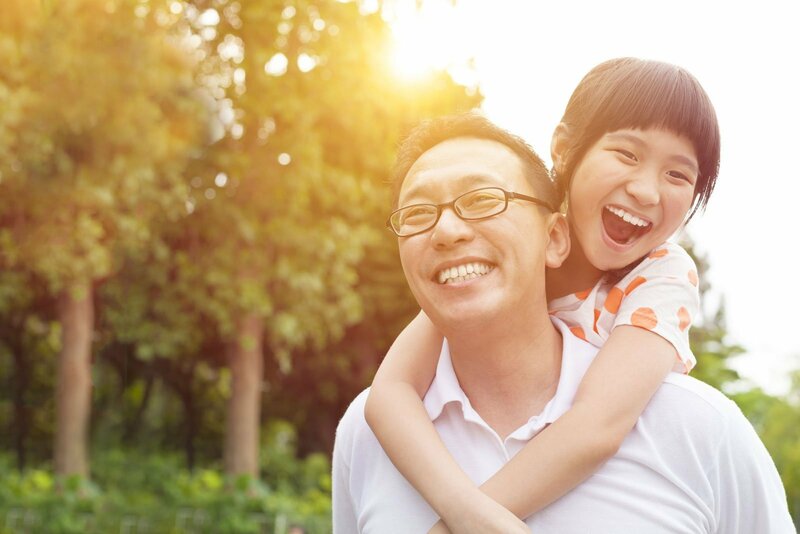 Prior to September 1, 2009, if the nominated beneficiaries are spouse or children, an “implied trust” is created and thus cannot be voided by a Will. The court had ruled that when a Policyholder named his or her spouse and/or children as beneficiaries, the beneficiary(ies) became the subject of an “irrevocable trust” under Section 73 of the Conveyancing and Law of Property Act (CLPA). In other words, the policy effectively became the property of the beneficiary, protected by legislation designed to ensure that family members, not creditors, benefit from such funds. Now ask yourself, how many of you have bought insurance policies before 2009? Not all people have indicated their beneficiaries in their insurance applications, but I am sure that there were hundreds of thousands of policies under Section 73 implied trust, and these policy owners may not even be aware of that because the creation of the trust was without a trust deed, i.e. no formalities. Even if you have made a revocable nomination after September 1 2009. I won’t advise you to “override” it by a will. The best practice is to write to your insurer to formally revoke the nomination to avoid any confusion or dispute in the future. Do you have a policy with irrevocable nominated beneficiaries under Section 73? Ivan Guan is a financial consultant and blogger with more than a decade of knowledge and experience in providing financial advisory services to both individuals and businesses. He specializes in financial planning for early retirement. His blog provides practical financial tips, strategies and resources to help you achieve your own financial freedom. Can i nominate a policy that was recently assigned to me? I purchases a resale endowment. Insured is someone else that i do not know. I am the new policy owner. You should check the respective insurer on this as there is no general answer. I have bought a Manulife Insurance 3 G Policy insured on my 2 children and now yearly i receive cash coupons payout. Can i assign these yearly payout to my wife on my demise in my Will? You should be able to. Please confirm with your will writer how to draft it. If I have a Will in placed, can I still submit Revocable Nomination? Does it automatically supercede my Will? Hi, Sherianne, if your will is drafted in a way that it only distribute insurance without nomination, then it is not an issue. if my husband insurance plan is made before marriage and nominated his siblings, when he passed on would the beneficiary be for me and our children due to revocation due to marriage? Marriage does not revoke insurance nomination. Your husband should submit a new nomination form to his insurance company to change the beneficiaries to you. Mai I check if my Husband had bought an insurance policy on 1989, and he had named someone to be the beneficiary, will he/she get the proceeds when my Husband pass on and leaving a WILL stating that I am his sole executor and beneficiary for all his estate? Kindly please advise. Thanks. Hi Janice, first, you need to check with the insurer if the policy falls under Section 73 of the Conveyancing and Law of Property Act. If so, any change of beneficiary required the consent of the original beneficiary. The will cannot override this. hi, may i check, if i am a policy owner, bought NTUC vivolife for my son (insured life), according to NTUC income, i cannot make nomination to him. This is 3rd party policy, he can do nomination to any beneficiary. My question is, if i write will to indicate that if i pass on, my son will entitle to this policy (as beneficiary). Is this correct? Otherwise, what is the suggestion way to do? Third party policy is always tricky. 1. Since your son is the insured and you are the policy owner, it is implied that you are the beneficiary, that is why you cannot nominate the proceed to him as the insurance is payable upon his demise. 2. If your intention is to pass the cash value to him, you may be able to assign the policy to him when he is an adult. If he is still a minor now, it is a bit tricky and more plannings need to be arranged. thanks Ivan for your prompt reply. Point 2, my son is adult above 21, however, i do not want to assign this policy yet. So in my WILL, I need to indicate that this VIVOLIFE policy NO. XXXXXXXX to distribute to his name. Is this a correct way? My concern is if i pass on, will NTUC Income recognise that this policy i bought for my son, he has the right to keep it and give to his beneficiary or to withdraw the sum in the event he terminated the policy. Your will writer should be able to advise you the exact wordings to draft the will. But you got the concept correct. Thank you so much, Ivan. I have bought a Manlife Insurance 3 G to insured my 2 children. Yearly i receive cash coupons. Can i assign my yearly cash payout to my wife upon my death in my Will? My friend has a life insurance policy taken out in 1999 naming his wife as the beneficiary. His wife (who is an orphan) passed away recently and they have no children. Can he now revoke the nomination so that the insurance goes to his own personal estate instead or nominate someone else? If yes, what must he do? Thank you. Hi Trisha, your friend can call the insurance company to check if it was a revocable nomination. Some old policies was under section 73 which was an implied trust (meaning cannot revoke without the consent of the beneficiary). If it is revocable nomination (the insurer should know), your friend can nominate a new beneficiary. What happen if insurance policy is under 73 ( irrevocable) and the beneficiary has passed on , Now can policy holder go the insurance company to change the beneficiary ( under section 73 ) to say that actual beneficiary has passed on ?? I don’t think you can change as under section 73, the original policyholder already passes the right to the beneficiary. May i check if i can keep both will and nomination active for different purposes? Eg. Will for estate planning other then insurance payout, and nomination for insurance payout. So that the nominee can have faster access to the insurance money when the mishap happens, rather than having to wait for the process of being granted the probate. Kindly advise. Thanks. Yes, you can. But you need to indicate in the will that the will doesn’t override any nomination done previously. Yes I know somebody who has a policy with irrevocable nominated beneficiaries under Section 73. Like you said, he does not even know that it is revocable. What happened if the couple is divorced? And the policy holder totally forgot about it and 15 years passed. As the couple has no children, they lost contact. What can one do in this situation short of spending thousands of dollars on legal fees? That is a difficult situation to deal with. You could reconsider if you still want to keep the policy now since the intended beneficiary is not the right person.